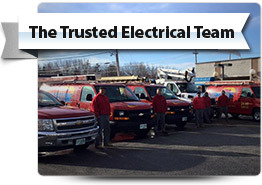 For panel or rewiring upgrades, installations and repairs in your home or business across Southern New Hampshire & Northern Massachusetts, rely on the on-time, expert electricians at Cornerstone Electrical Service. 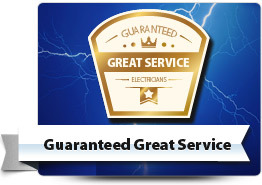 We are the trusted choice for thousands of residents in your local area and you can read testimonials here and about our service guarantee here. If your power supply has become unreliable or your older panel board is starting to feel the strain of modern electrical appliances, call the experts at Cornerstone Electrical. We can quickly perform any repairs you may require and upgrade older panel boards to ensure you’ll have a safe, reliable source of power whilst reducing your risk of electrical fire. 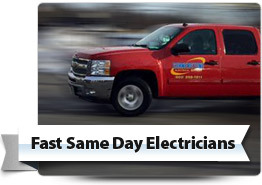 Cornerstone Electrical provides you the benefit of knowing the full “Per Job” cost before we start any work. Now you get to make an informed decision and can relax knowing the full cost. If you’ve recently purchased additional electrical appliances or are extending your premises, Cornerstone Electrical can establish if your existing panel is able to meet the new level of demand. If a capacity upgrade is needed, you can be sure of an expert installation allowing you and your family to enjoy safe and reliable power. Older or faulty wiring can be hazardous – with the increased potential risk of electrical fire. Our rewiring specialists can perform a full inspection and assessment of your current wiring and install any necessary new wiring or upgrades to ensure your home or business remains safe and allowing you to enjoy a reliable power supply into the future. A simple way to reduce your energy usage is to consider the benefits of a usage monitor from Cornerstone Electrical. Our professionally installed usage monitors allow you to accurately measure the effects of energy efficiency strategies and help you make changes that will reduce monthly utility bills as well as your carbon footprint. Cornerstone Electrical Services can professionally install Ground Fault Circuit Interrupters that help keep your family, employees and customers safe from the threat of electrocution. A GFCI monitors and detects irregularities that cause electrical shocks and automatically shuts the power off on detection. Our expert electricians can discuss the most suitable GFCI solution for your home or business and always provide professional installations for your total peace of mind. If your home or business has older style fuse boxes we can replace them with modern circuit breakers. This means you won’t need to go hunting for fuse wire in the dark and can restore power with just the flick of a switch. If you’re considering selling or purchasing a property, or are concerned about the safety of your electrics our safety inspection will put your mind at ease and ensure the property is electrically safe and building code compliant. 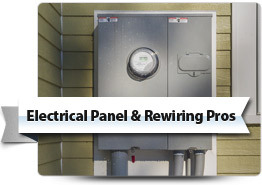 For distribution panel or rewiring requirements in your home or business across Southern New Hampshire & Northern Massachusetts, call and speak with the electrical experts at Cornerstone Electrical today.